A lot has happened since the last WWE game hit shelves. Daniel Bryan returned to the ring! Shawn Michaels is about to! John Cena’s run as a full-time wrestler ended, and Ronda Rousey’s began! The first all-women’s PPV and multiple super stadium shows were added to the schedule! Brock Lesnar finally dropped the damn title! Phew, that’s a lot of exclamation marks! Given the change in the air, it would be especially disappointing if WWE 2K19 was yet another by-the-books outing. Since taking over the license in 2013, 2K Sports has been turning out mostly humdrum WWE games hampered by frustrating mechanics, missing features, and a general lack of polish (the lazy WWE 2K18 left me particularly unimpressed). 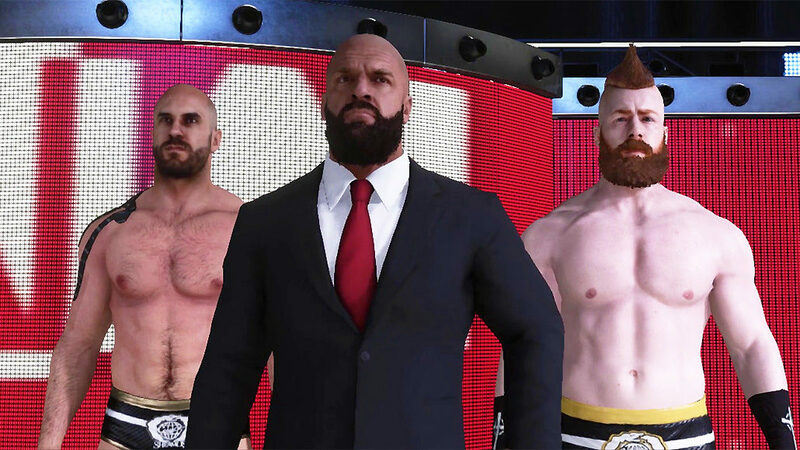 WWE 2K19 includes some much-requested features, like a revamped story-driven MyCareer and the return of 2K Showcase mode, but is it enough? Does WWE 2K19 grab that shiny brass ring or continue the series’ Curt-Hawkins-like losing streak? As I laid out last year, a good wrestling game requires three simple ingredients: fun in-ring action, a deep, intuitive creation suite, and a decent career mode that lets fans live out their pro graps fantasies. WWE 2K18’s create-a-wrestler was solid, but it failed to deliver the other two elements. So, how does WWE 2K19 fare? Significantly better, I’m happy to say. WWE 2K19’s basic mechanics haven’t changed much – it sticks to the same basic punch, kick, normal grapple, strong grapple system that wrestling games have been using since the mid-90s and continues to be heavily fixated on reversals. Thankfully, those reversals aren’t as frustrating as they once were. 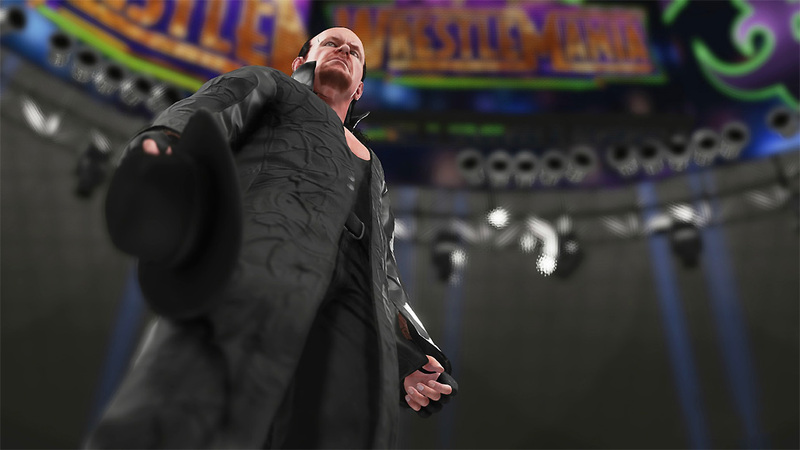 The last several WWE 2K games required split-second precision to pull off reversals, which was an issue, as they were the only way to alter the course of a match. Naturally, your godlike AI opponents didn’t have a problem countering. Well, it seems the makers of WWE 2K19 heard the complaints, as the timing required for reversals feels more forgiving and computer opponents aren’t such merciless bastards anymore. In addition to generally improving reversals, WWE 2K19 introduces the new Payback system, which finally gives players another way to change the momentum of a match. Absorb enough damage and you’ll earn a special ability. Hold out a bit longer, and you’ll earn your more powerful level 2 ability. You can choose your Payback abilities before the match, and some of the boosts are quite handy – you can earn an instant finisher, an automatic, no-fail reversal, or various limited-time buffs. You’ll probably only use Payback once or twice a match, but it provides an out when the computer is relentlessly hammering on you and you just can’t seem to get the reversal timing right. It’s a small, but crucial, addition. Overall, WWE 2K19’s action feels a touch faster and more fluid than in previous years. Almost a bit arcadey, but I’ll take that over the slow, unforgiving approach of past entries. 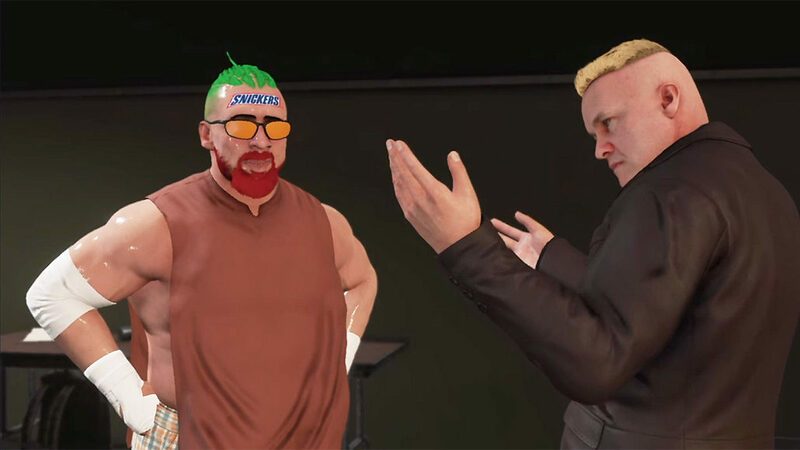 Make no mistake, WWE 2K19 still has some in-ring issues – the game continues the series’ obsession with annoying meters and minigames, which reduce chain-wrestling, submissions, and ladder matches to thumb-spraining minigames. I’d love to see a WWE 2K’s in-ring mechanics get a complete revamp, but, for now, things are at least moving in a better direction. Unfortunately, while WWE 2K19 may play better, it actually looks worse than last year. It seems the game’s developers decided to skip the detailed face and body scanning this time around, because a lot of the wrestlers, particularly the newer faces and women, look like awkward cartoon versions of themselves. Like they were based on the goofy WWE comic book instead of real life. Even guys that looked great in the past, like John Cena and Randy Orton, are a bit iffy this year. Meanwhile, the audio is (of course) awful as usual. The commentary team of Michael Cole, Corey Graves, and Byron Saxton are competent, but they still spout far too many nonsensical lines that don’t fit the context. Often the game would outright mess up and have the commentators start talking about the wrong match or refer to my male MyCareer character as a “she” (that one happened a lot). At least The Rock didn’t choose this year’s soundtrack, so no Kid Rock or Disturbed (sorry to any rap-rock fans just coming out of a 15-year coma). The WWE 2K Creation Suite hasn’t changed much this year, but it was already about as deep as it could get. As always, I judge create-a-wrestler mode by how hideous/stupid I can make my characters look, and WWE 2K19 definitely doesn’t put any limits on that. Of course, you can also make characters that aren’t ridiculous monstrosities, including pretty much any real wrestler you can name, past or present. And hey, if you’re not the creative type, just download other players’ creations – I’ve already nabbed a pretty darn good Tommaso Ciampa, Nikki Cross, and Toni Storm. Oddly, you can’t use wrestlers made in the full Creation Suite as your MyPlayer this year. Instead, you have to make one using a separate, somewhat limited, character creation wizard. You can go back and further edit your MyPlayer, but about 90 percent of the moves, gear, and even basic physical stuff like wrinkles, scars, and hairstyles have to be unlocked by spending Virtual Currency (VC) or opening loot boxes. WWE 2K19 doesn’t have microtransactions, but it sure feels like the game was set up for them. You’re heavily encouraged to buy loot boxes instead of picking and choosing the moves and gear you want, as items are very expensive to buy individually. I wouldn’t be even slightly surprised if WWE 2K19 quietly adds microtransactions a few months down the line. You can use your MyPlayer to play through MyCareer mode or compete online. Doing so earns you and VC to spend on those loot boxes and XP, which you can use to level up your MyPlayer using a rather complex new skill tree. Gradually grinding up your guy is marginally more satisfying than in the past, but it still feels a bit pointless. All the stuff you’re earning is already available in the full Creation Suite, so why bother earning it all a second time? Why spend dozens of hours training this jobber? Fortunately, the grind isn’t the be-all, end-all for your MyPlayer this year, as MyCareer has been expanded to include a full-fledged story, complete with numerous fully-voice-acted cutscenes. You play as an indie wrestler, nicknamed “Buzz” no matter what you name yourself, who’s on the cusp of making it to WWE. Your NXT tryout goes well, but an embarrassing social media incident immediately gets you fired by a vengeful Triple H. The punishment doesn’t end there, as Hunter does everything he can to sink what’s left of your career, going so far as to crash your indie fed’s video streams. I’ll admit, I did not expect this WWE game to side with indie wrestling against Triple H and the uncaring WWE machine. Kudos to WWE 2K19’s writers for defying expectations. Of course, you eventually do end up in WWE, at which point the story becomes less entertaining, or at least less surprising. On the other hand, you do get to have a House of Horrors match – I leave it up to you whether that’s a good or bad thing. If you’re not feeling guiding a fictional wrestler to WWE glory, you can instead follow Daniel Bryan’s career in the returning 2K Showcase mode. Many, including myself, have missed the Showcases since they were unceremoniously dropped following WWE 2K15, and Daniel Bryan is the perfect subject for the mode’s return. 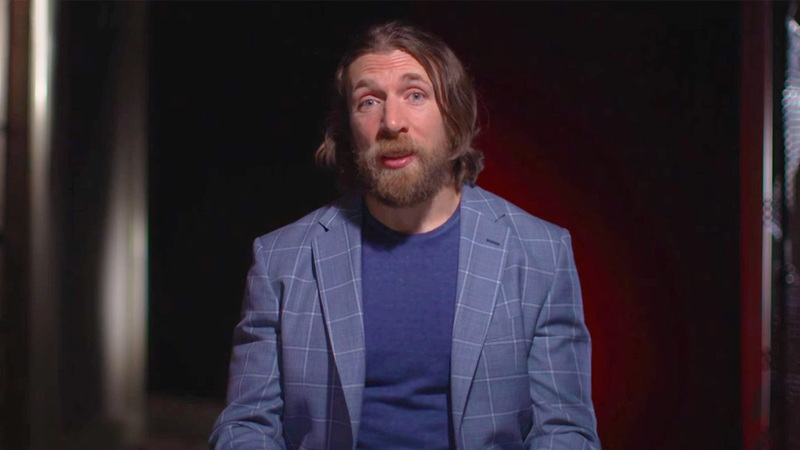 The documentary bits between matches, featuring insights from Bryan himself, are well produced, and you get a full overview of his WWE career, from his early matches on Velocity, to the embarrassments of NXT, to his victory at WrestleMania 30 and return from injury at WrestleMania 34. The individual matches are recreated well, although sometimes they load on a few too many objectives. I realize the matches are supposed to replicate real-life events, but all too often you end up losing matches simply because you couldn’t maneuver your opponent into a very specific spot for a very specific move. I don’t want to be too hard on Showcase mode, it’s entertaining for the most part, but the matches occasionally feel like checking off homework. The other big addition to WWE 2K19 are Towers, which are essentially a take on the Arcade modes found in fighting games like Mortal Kombat and Street Fighter. 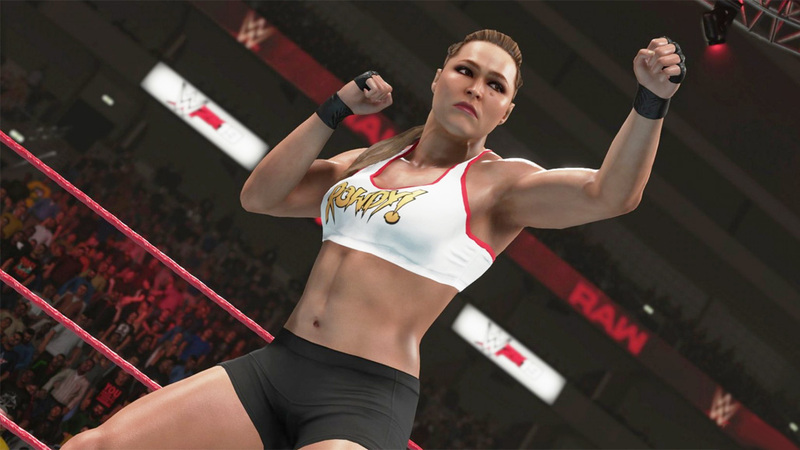 Each Tower challenges you to play through a series of matches based on a unique theme – so, for instance, “The People’s Tower” tasks you with beating The Rock and other Attitude Era stars, while “Ronda Has Arrived” pits you against some of Ronda Rousey’s recent opponents. There will also be a constantly updated list of Towers you can take your custom-created MyPlayer through. Towers are a simple concept, but they’re good pick-up-and-play fun. And there’s still more! WWE Universe mode returns yet again — essentially the WWE 2K version of the GM modes from other sports games, it allows you to book your own cards and simulate or play out a year of programming. Universe is a bit dry for my tastes, but it’s there for the fantasy booking fanatics who enjoy it. Of course, you can also jump into the basic exhibition or quick-play online matches, which can be customized to your heart’s content. The amount of content in WWE 2K19 would break Mark Henry’s back. This review was based on a PS4 copy of WWE 2K19 provided by publisher 2K Games. You can purchase the game on Amazon. Is WWE 2K19 championship material? Not quite, but developers Yuke’s and Visual Concepts have made some important strides in the right direction. WWE 2K19 hulks up with some smart new mechanics, a well-produced Daniel Bryan Showcase, and a much-improved MyCareer mode. Does the game still suffer from some in-ring issues and a general lack of polish? Yes, but WWE 2K19 feels like it might just be the first chapter of an inspiring comeback story.